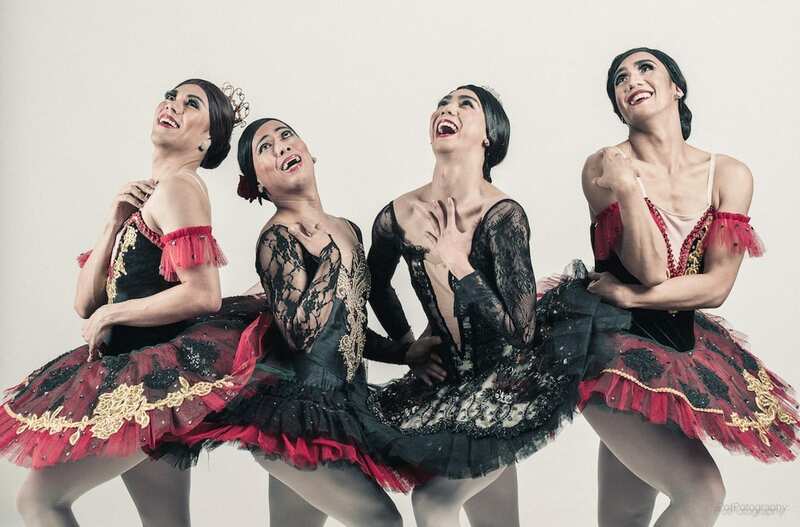 Les Ballet Eloelle’s Men In Tutus at Artscape Opera House for four shows only | Eat. Play. Drink. Cape Town. SURE, we’re all familiar with drag these days – something which rhymes with “in frocks” – but have you thought about a more specialised form of the art? Such as Men In Tutus, for example, which is the title of Les Ballet Eloelle’s (say it out loud, slowly) show which will be performed at Artscape from April 18 till 21? 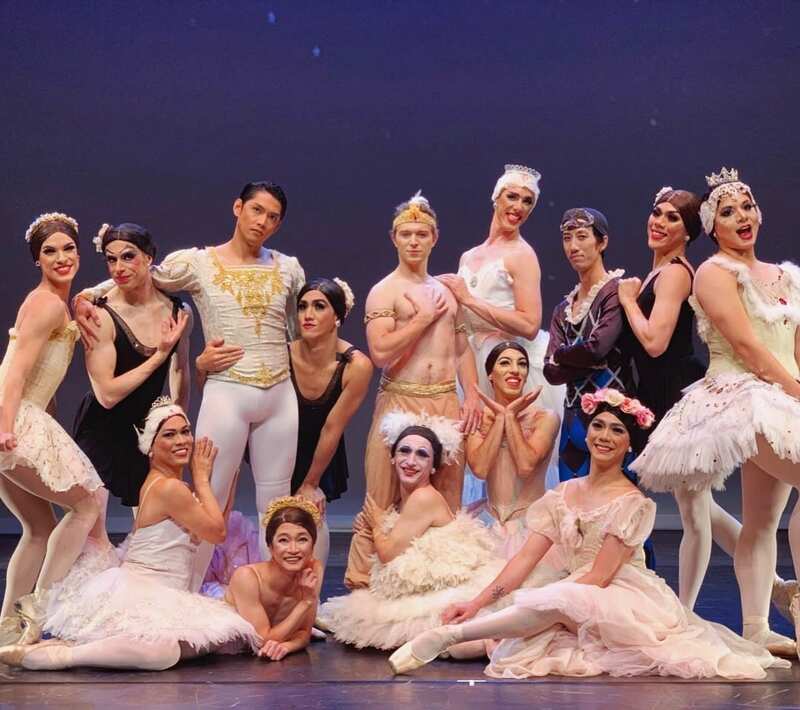 Following its run in Joburg this weekend, the internationally acclaimed all-male company – with dancers from Argentina, Colombia, Mexico, United States, United Kingdom, Australia, Spain, Japan and The Philippines – will be gracing the stage for four Cape Town performances of spectacular, talented and hilarious all-male comedy ballet. The tutus and tiaras are one thing but whether you are familiar with the ballet or not, you probably know men en pointe is highly unusual for various reasons, the most obvious of which is their physical size and weight. Women begin training in pointe shoes from a young age, which in the long run gives them more control than men have in pointe shoes, generally, says Trevino. However, men are able to catch up and sometimes surpass women in terms of strength in the shoes because they can develop muscles quicker. “When I began training, men simply did not train en pointe. This was the reserved for ballerinas,” Trevino tells us. “Men occasionally put shoes on to strengthen and stretch their feet, but there were almost no opportunities men to use that skill on stage. Why practise something that you will never use, was the mentality. Technical aspects consist of learning the choreography, learning to do female make-up, learning how to put your hair into a bun (that one took Trevino years; he had to make friends with other dancers to help him), and working in pointe shoes. “Pointe shoes require strength, balance and sometimes grit when you dance in pain. For the male dancers doing male roles, learning how to partner other men in pointe shoes is a new skill they must acquire,” says Trevino. Then there are the artistic aspects of the show. The show being brought to South Africa has been chosen both for the variety of styles and its popularity. Pas de Quatre is a romantic era ballet with long tutus and represents that style. 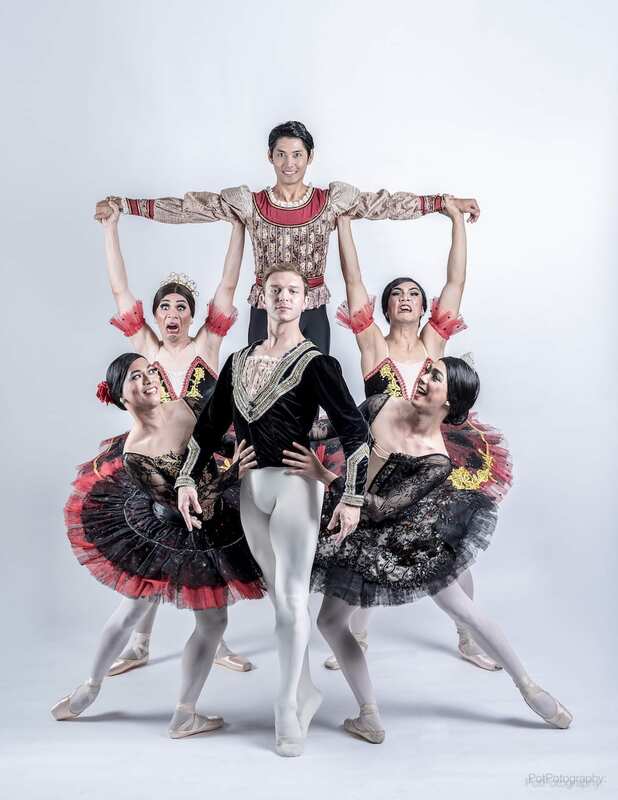 “It is also a great piece from a comedic stand point because it embodies what most people think of ballerinas – jealousy and egos,” says Trevino. “The second work is a pas de deux and these works are usually showpieces that display technical skill. It is the classic male-female duet that ballets are centered around and the ballerina wears the style of tutu that we generally associate with them. “The third work is a parody of a 20th century master, George Balanchine. It is a nod to the fact that ballet continues to evolve and change and is not stuck in the past. Balanchine simplified the costumes for many of his ballets to better illustrate the architecture and beauty of ballet. Artscape performances are on April 18 at 8pm, April 20 at 3pm and 8pm, and April 21 at 2pm. Tickets, from R190, are available through Computicket.